I finally updated our hair regimens! As far as my hair regimen, Mine is pretty much similar to when I was relaxed. Except that I don't use a relaxer anymore. My hair is not long at the moment, but the top is since I have been growing that out more. But many of the techniques still work. For MadiMel's hair regimen, it is pretty much the same. Some products have been added and some switched to new ones. I will not say the replaced products didn't work anymore, it was time to try something different and it has worked just fine, probably a little better for her. Keep in mind when you do create a hair regimen, use it as a guide. Don't let it guide you. There will be times, you will miss a wash day, deep conditioning and forget to moisturize your hair for a week. It's okay. Just get back right on track when you can. Trust me, I am not perfect with my hair regimen, but I still maintain what needs to be done when I can. In essence, just practice healthy hair techniques and you are good to go. I feel that products enhance the beauty and health of your hair. Family Dollar is presenting their 3rd Annual Family Dollar Fabulous event. Fabulous is a celebration of African-American women by highlighting how inner beauty combined with style translates to Fabulous, fantastic, and fashionable looks for less. 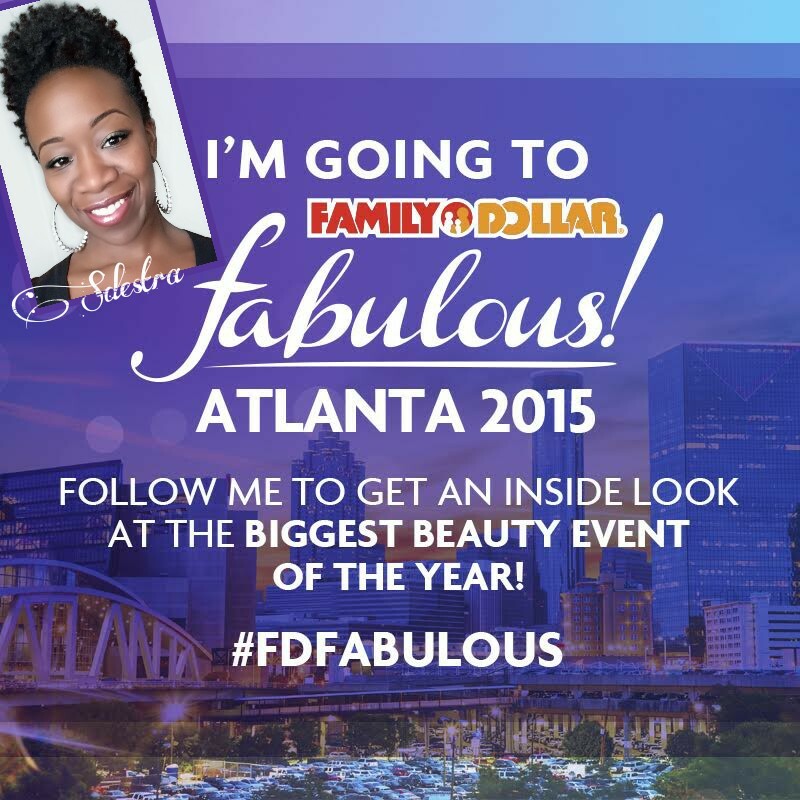 In the next two days...kicking off tomorrow, here in Atlanta...Family Dollar beauty brands once again take center stage with their interactive sessions. Top influencers of the beauty and fashion industry will attend this event. I am excited to be a part of this event as a VIP blogger/vlogger. You can follow me to get the scoop of the happenings! Follow me on Instagram, Twitter & Periscope...Sdestra. My child's hair stopped growing. I hear that very often. I wrote about this before, but elsewhere and never posted it here. Decided to share it with you all. When I first started my daughter's hair journey, I thought the same at one point because it seemed as though her hair stayed stuck in one length for a while. I thought it was because her hair was breaking. But her ends were always healthy. Many of us who are currently on a hair journey went through the phase where we thought that the hair was not growing. And many of us learned that the hair will always grow, it's just that maintenance and length retention was key to keep what has grown out of the scalp. But hair does grow unless there is an underlying medical condition hindering it. We have to remember that the oldest part of the hair are the ends and we need to take care of it more. When the ends are not taken care of properly, it will slowly break off as fast as it is growing from the scalp. Making it appear that the hair is not growing. But what about our kids whose hair we take care of religiously? 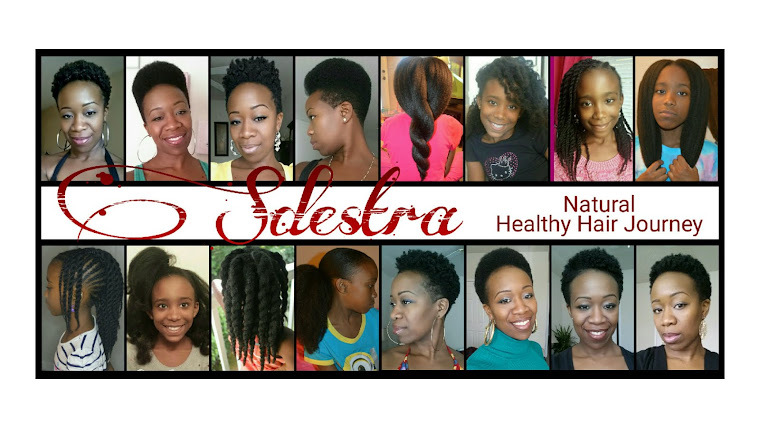 We follow every routine in their hair regimen, moisturize every night, deep condition...etc.? But it seems as though he or she is stuck at one length. The hair is still growing. But with children....let us remember that they still go through a growth process and go through growth spurts as well. As they grow taller, their height can take away from the length of the hair. Being adults, we stop growing taller at around a certain age. We stay the same height from then on. During our hair journey, we will see the length fall at certain points on our bodies as long as we maintain it to retain it. My daughter is currently 10 years old. Her hair length has been toggling between below waist and tail bone length. 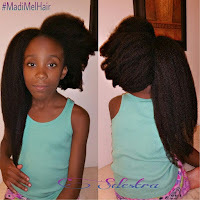 It is not a big issue for me because I know how we have been working to maintain her hair length. She is getting taller so I do not make her hair length an issue at this point. In keeping track of your child's hair growth progress, I recommend that measuring the length of the hair, than to rely on where it sits on their body is better. Here are also factors to consider, your child's hair growth rate as well. Side note: personally, mine grows less than half an inch per month. Despite that, it is still important to continue to the healthy methods you have been using on your child's hair. *Measure the hair instead of relying on where it falls on the back will protect youfrom discouragement & disappointment. *KEEP YOUR CHILDREN HEALTHY!!!!! EAT RIGHT, STAY ACTIVE & TAKE VITAMINS! I don't really blow dry my daughter's hair. It is on a rare ocassion when it is done. But I usually stretch it out first to elongate her hair before styling. Some people thought it took my hours to dry her hair because of the amount of it she has. Actually, it takes me about 30 to 45 minutes. The key to this is technique is to keep the hair parted. From the time I wash her hair to blow drying it, I keep her hair parted in sections. Those things help avoid tangling during each processes. Each section is worked on at a time and results in a quick and effortless process with everything. The tension method works well for us because I do not have to use a comb attachment to dry her hair. Using a comb attachment adds more stress to the hair. Pulling, possibly tangles and breakage as well. Basically, a section of hair is held down firmly while the blow dryer is run up and down the length of the hair using low heat. Cool setting can be used as well. Below is the video on how I do it, products used and results. Making my story short, family was my priority during the past few months. Always been a priority, but focusing on the children, academics and activities. Although I have been active on Instagram, that was an easier way to quickly post and keep it going. Blog posting and Youtube, I scaled back on it for a while. But I thank you for your support on the other social media outlets I am on. The only thing I want to say is that I have been loving my hair. 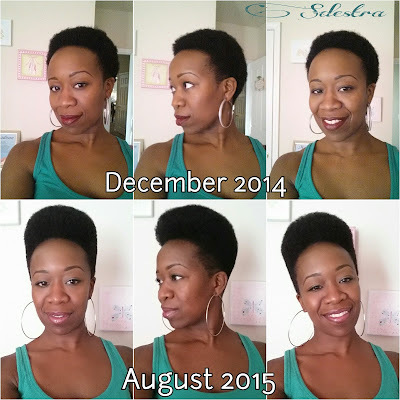 The natural journey and my tapered hair cut. I plan on letting it all grow out next year, but for now, I wanted to enjoy a certain look. And that look has been my signature look for a while. The tapered afro. I can no longer call it a TWA anymore because I do have about 6-7 inches on the top of my head. I do see the barber regularly for my cuts and he has been great every time. When I decide to completely grow it out, I will share the news. But for now, I'm enjoying this ride with this look and the fun I'm having with it. I will be sharing my twist out techniques and new hair regimen as well once that is in place and organized. It hasn't really changed much from when I was relaxed. I will share more soon. But for now, a pic of my healthy hair journey so far. Stay tuned. Recently, a follower had commented that she curls her natural hair within a few minutes by doing Sponge Curls. So I researched it a bit and found a video which I have posted below. Basically it is a sponge with holes which captures hair strands as you rotate it around the head, causing your natural "curls" to become defined. It gives it beautiful textured look. I honestly think it is very innovative. There are a few brands out there and some people had created their own by cutting holes into sponges. I know during my relaxed hair journey, so many on their personal journey were avoiding the sponge rollers like the plague. It was understood that the sponge dries the hair, and also snags it too. That can cause slow breakage. My thing is, would it cause "damage" to the hair if used too often? Would it be beneficial to use if you want to achieve curls in minutes, but trying to grow your hair out. If someone plans on keeping their hair cut low, then I can see how it can be used often. By the time their next barber visit comes around, the hair that sustained the rotation of the sponge is gone due to a fresh cut. So therefore, there might not be room to create and have damaged hair . I can see how it can be great for some though. But I am just speculating. Since I am not so pressed on growing my hair out right now, and get a few trims for another month or two before I grow it out. I would definitely give it a try for a while. It would be my emergency go to hair tool.